Politics, Corruption, Murder, and Chess. The world of chess hasn’t changed much since Bobby Fischer’s heyday and the 1972 World Championship match that became a symbol of the Cold War. To this day, chess remains a pawn in a larger geopolitical struggle where some of the world’s greatest minds are playing out international conflicts. 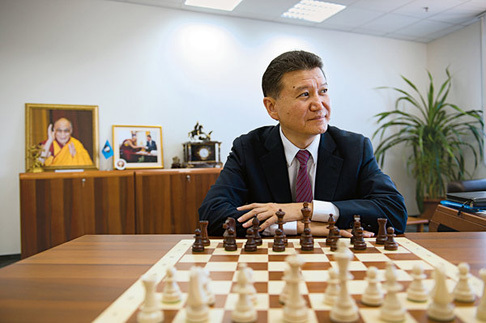 Check out Steven Lee Myers’ article from last weeks New York Magazine, about the recent FIDE (the international chess governing body) elections and how, almost 50 years after Fischer’s politically symbolic win, chess continues to plays a major role in global politics. We are pleased to announce that Liz Garbus’ film Bobby Fischer Against the World will be showcased in both Saint Louis, Missouri at the World Chess Hall of Fame and in South Korea at the DMZ Documentary Film Festival. The World Chess Hall of Fame opened their newest exhibit, A Memorable Life: A Glimpse into the Complex Mind of Bobby Fischer, July 24th. The showcase displays some never before seen artifacts from Bobby Fischer’s historic rise including the famous “Red Book” of Boris Spassky’s best games, which Fischer studied constantly during his preparations for the 1972 World Championship. In addition to Fischer’s private notes and game strategies, the exhibit also features clips from Garbus’ acclaimed documentary on the complicated psychology behind Fischer’s genius and his emblematic defeat of Boris Spassky to become World Champion. 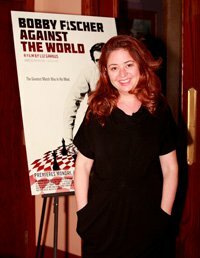 Moxie Firecracker and the World Chess Hall of Fame have partnered together in the past to plan events during the film’s premiere at Sundance, and we’re excited to continue our affiliation. A Memorable Life: A Glimpse into the Complex Mind of Bobby Fischer will run from July 24, 2014 – June 7, 2015 at the World Chess Hall of Fame in Saint Louis, Missouri. Bobby Fischer Against the World will also be featured at the DMZ Korean International Documentary Film Festival (DMZ Docs) this September. DMZ Docs is becoming one of the most important documentary showcases in Asia and aims to promote themes of peace, reconciliation and coexistence. Just last year the festival screened close to 120 films from 38 different countries. Bobby Fischer Against the World was invited to screen this year as one of five films in a Hot Docs retrospective at the fest. The festival runs September 17- 24 in South Korea. Moxie Firecracker Films' New York office is hiring a full time paid intern. She/he will be responsible for assisting the production team on a variety of project-related tasks, including providing logistical support on films in production, handling outreach and circulation of completed films, researching for films in development and pre-production and general office work. This is an excellent opportunity for candidates interested in learning about the creative and business sides of film production. Recent college graduate demonstrating an eagerness to learn about filmmaking from the ground-up. Production and/or post-production experience is a plus. Candidates must have strong organizational, follow-through and multi-tasking abilities, and excellent communication skills. Personal portfolios will not be taken into consideration. 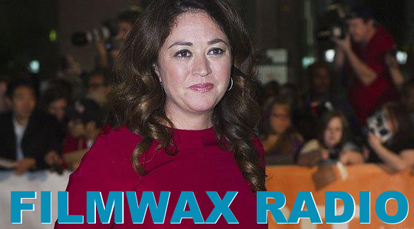 Blogger Adam Schartoff focused his April 8th podcast on the work of Liz Garbus, and we're happy to share the lovely final product. Listen or download to hear more about how Liz got her start in documentary films and some of the films that have inspired her own craftsmanship. As the recipient of the Fellowship, Colin will be under the mentorship of a group of amazing doc editors: Jean Tsien, David Teague, and Jonathan Oppenheim. He’s already begun blogging about the experience and what he’s been up to at SXSW - you can stay abreast through the Fellowship's site, at Karenschmeer.com/blog.